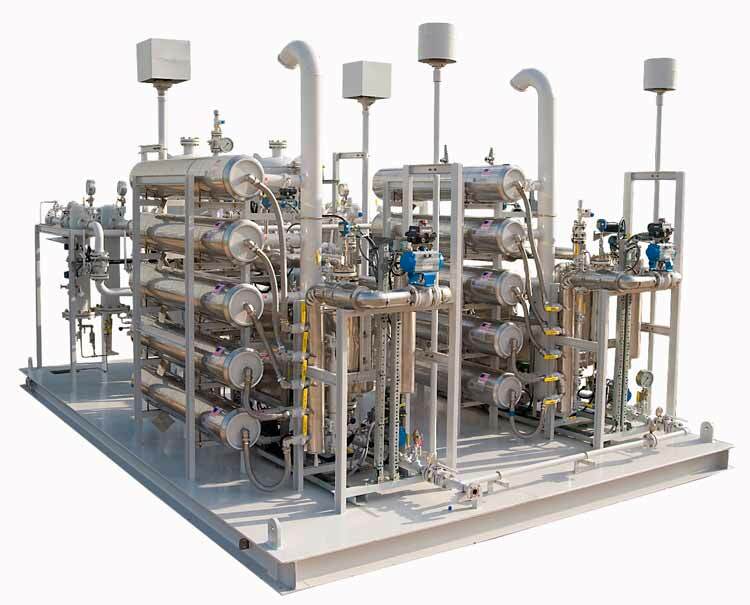 GENERON® Membrane separation systems are engineered and designed for efficient Nitrogen generation and mixed gas purification.The skid mounted systems are commonly used in the Oil & Gas Industry, Ammonia plants, Chemical Manufacturing Facilities, and Refineries. We build standard designs or to custom engineering specifications, to provide reliable, cost effective membrane separation solutions. For more information on GENERON® Standard or Custom Membrane Nitrogen Generator Skids, please contact us at +1.713.937.5200 or or using our online form.